The taste of good food takes my mind away. 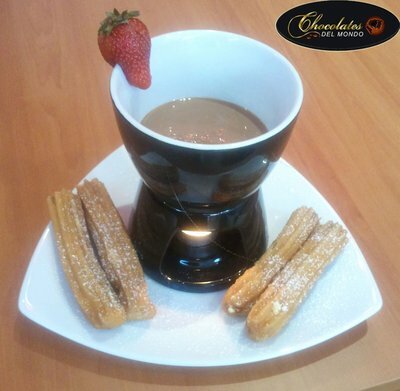 When you hear the word chocolate, doesn't it make you feel all warm and fuzzy and sweet inside? Need a new place to chill with your friends? Well come to the new chocolate bar located at Bankstown if you haven't discovered it already. It has recently just opened around March 2011 with the name of Chocolates Del Mondo. They have a wide variety of chocolates from all over the world, South America, Africa, Asia and Europe, that will give you different experiences. You could even call up and make a reservation for parties, events or any sort of special occasions. What's in their menu? 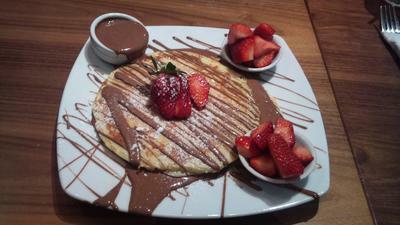 They sell pancakes, waffles, truffles, churros and many more, all topped with their warm Belgian chocolate syrup. Sounds delicious already. For hot and cold beverages, as the usual, hand made coffee, soft drinks and now they even sell fruit smoothies. Come check this place out if you have no where to go or need a new place to chill. I'd want to try it out myself one day. One has just opened on Burwood Road as well. Yum!